Known as a superstitious bunch, baseball players believe these foods deliver on-field glory. 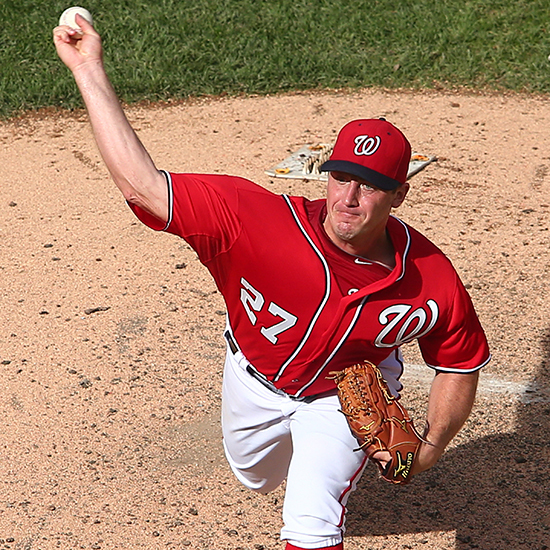 Nationals pitcher Jordan Zimmermann might have a sandwich to thank for his no-hitter yesterday, the first by a Washington player since the 1930s. Earlier this year, Nationals’ bullpen coach Matt LeCroy revealed what may be the key to the just-crowned NL East champions’ success: He eats a banana and mayonnaise sandwich when his team really needs a win. He swears he’s been enjoying this mush-on-cream delicacy since childhood and that the sandwich’s mojo is responsible for digging the team out of mid-season ruts. Baseballers have always been a superstitious lot—LeCroy’s sandwich is just the latest of a long list of foods that athletes believe work culinary voodoo on the field. Black licorice: Former MLB relief pitcher Turk Wendell gnawed on black licorice whenever he pitched and then brushed his teeth between innings. Vanilla ice cream with chili: Baseball’s legendary strikeout king Nolan Ryan was rumored to eat vanilla ice cream with chili and beans to help settle him before big games. Wendy’s: Every night before he plays, Texas Rangers’ pitcher Derek Holland spends $30 on a binge at Wendy’s.